In this post I’m going to list my recommendation of the top 3 best sites to buy cheap ejuice. This list is comprised of sites that offer the best pricing. I’m a bargain shopper and like to get the best deal possible, so here’s my list of recommended sites where you can find great brands and cheap vape juice.If you’re looking for nic salts specifically, we’ve recently shared the top 10 best nicotine salt e-liquids. It’s a list of some of the best e-liquid brands that offer nic salt e-liquid flavors. 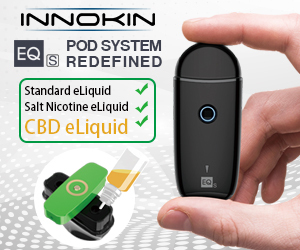 Pair with your favorite vape pod and enjoy a flavor, smooth experience. Check it out! While this is only a list of 3 sites you can buy cheap ejuice from, there are several more scattered across the internet. However, these are the 3 we recommend. Even if you aren’t looking for the best deal ever and just want some good ol’ fashion quality ejuice from a great supplier, our friends at West Coast Vape Supply has a huge stockpile of the latest and greatest brands. Search them up, check them out, and let them know we sent you! 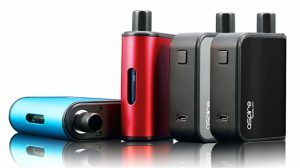 Looking for the best sites to buy cheap vape mods? 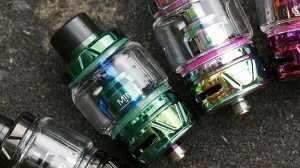 We recently published an article where we share the top 3 best sites to buy cheap vape mods, which we highly recommend that you check out if you’re on the market to find mods that deliver the looks and performance while maintaining affordability. The brand SMPL offers a BOGO (buy one get one free) deal on all of its e-liquid. By buying this e-liquid you get 2x 120ML bottles of e-liquid for $22! This is the best deal on e-liquid that I’ve found. 240ML for $22! 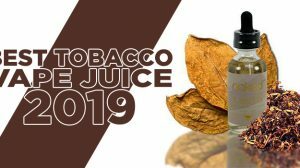 Just to let you in on a little secret, one of the top ejuice manufacturers used some of its most popular flavors, slapped on this SMPL label and is now selling this e-liquid at a blowout price. If you want some good e-liquid, a lot of e-liquid, and at the lowest price possible, grab a few bottles by clicking the button below. Pick some up for yourself, maybe for a friend, for a family member, or hell resell it and make a couple extra pennies for yourself. The first on the list, because it simply doesn’t get much cheap than Ejuice.Deals. Their name definitely reflects the prices they offer, and that doesn’t technically mean the ejuice is of a lower quality. In fact, they offer the markets top brands at greatly reduced prices. Where you would pay $25 for a bottle of a particular flavor from a certain brand, you can find that same ejuice flavor from the same brand roughly $10-$15 cheaper. From my understanding they’ve cut out the middle man and buy in bulk, allowing them to get ejuice for cheap, then they prefer to gain more customers by taking in less profit per product, rather than the whole ‘get rich quick’ strategy. Fortunately for them, it’s working, because they’ve definitely earned my business and many others. Ejuice Connect is a very interesting site, because they not only have cheap ejuice, but they also have some incredible deals on hardware as well. For example, I was just searching around their site today and noticed they’re selling the Sigelei Kaos Spectrum for as low as $35, which is a crazy good price. Ejuice Connect is on this list for the pure fact that they offer it all. You can get cheap ejuice and cheap mods at the same time. What’s not to love about that? 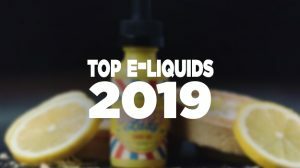 Now I wouldn’t be placing this site on this cheap ejuice list due to the prices of most of the products they have in stock, however they do have a “cheap ejuice” category where you can get an amazing deal on ejuice. I personally haven’t tried the brand myself, but it wouldn’t hurt to take a test dive at $10 for 100mL. With many vape sites on the web, we wanted to make things easier and share the top 3 best sites to buy cheap ejuice. Use these sites to find the best ejuice deals. I just recently ordered from them and had the opposite experience. They were awesome, everything was on time and correct. some website that sells to spain? $5.99 – 15.99 For 120mls.) No joking! The shipping is excellent 2 to 4 days & it’s yours! I was a little skeptical at first because the prices were almost too good to be true it seemed. So I ordered $25.00 worth. (Which turned out to be 360mls. Altogether.) This is my new favorite place to shop, I will be ordering much much more very soon. CHECK IT OUT, YOU WON’T BE DISAPPOINTED!!! Ive used ejuice connect so many times over the last 3 years and have had amazing experiences. I can’t find anywhere any cheaper. Fast shipping. Never an issue.